With Xi Jinping visiting the UK, an important geopolitical step is being taken. The UK is taking a very pragmatic and positive approach towards China, and the Conservative leadership is putting out the "reddest of the red carpets", according to some media reports. It highlights a very important geopolitical shift, and can be explained by a lot of factors, both domestic and international. British politicians are fawning with their understanding of global economics and trying to make a case that China has too long been ignored, and China is now too big an economic power to ignore any further. Leading the group is George Osborne, Britain's chancellor, who made clear that Xi's visit is an opportunity to improve diplomatic and economic ties between the two states, and there won't be any talks about potentially troublesome geopolitical issues in public, as the entire meeting is seen from a positivist perspective. President Xi, in his interview with Reuters, heaped praise on Britain and wanted all the other major powers to emulate this "visionary openness." "The UK has stated that it will be the Western country that is most open to China. This is a visionary and strategic choice that fully meets Britain's own long-term interests," Xi said in a written response to questions from Reuters, continuing that "China looks forward to engaging with the UK in a wider range, at a higher level and in greater depth." Xi also mentioned that there is a global fear of Chinese economy collapsing, but those fears are unfounded and are the Chinese administration is taking every measure to stabilize the currency. The British press reflected this bipartisan consensus. The Guardian mentioned how the meeting would help "to open up the Chinese economy to more foreign investment and encourage the country's firms to invest overseas." About 150 deals are expected to be sealed this week in areas such as healthcare, aircraft manufacturing and energy. The BBC quoted China's UK ambassador Liu Xiaoming on the Andrew Marr show, saying the expected deal to build a new nuclear power plant at Hinkley Point was "in the best interests of Britain and also in the interest of partnership between China and UK" as UK people need clean energy and Chinese investment. 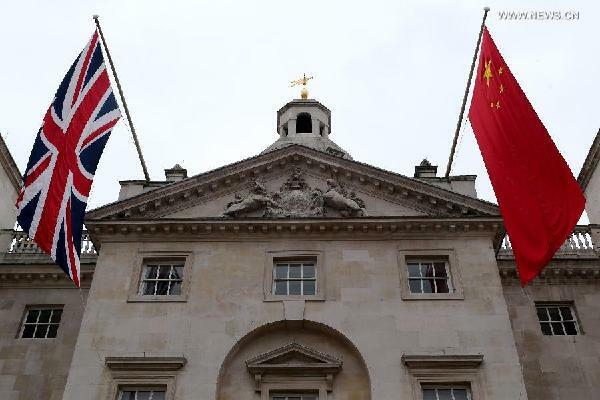 Seemingly an excellent economic match, what does the future hold for Sino-UK Relations?